Location: In the south Indian State of Kerala, on the high ranges of the western ghats. Tourist Attractions : Mattupetty, Devikulam, Marayoor, Eravikulam National Park, Lock Heart Gap, Chithirapuram, Anayirangal, Attukal, Nyayamakad, Echo Point, Rajamala, Kundala, Power House Waterfalls, Malankara Reservoir. Best Activity: Trekking, boating, riding, angling. Munnar is a charming chunk of the lofty Western Ghats in the backwater country of Kerala in South India. 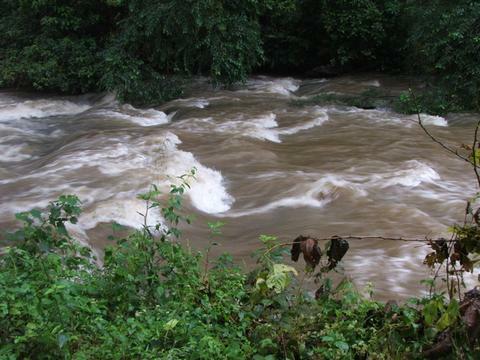 The town of Munnar stands at the convergence of three mount streams - Mudrapuzha, Nallathanni and Kundala. Munnar is the most ideal place for the tourists looking for trekking, boating, riding, angle and much more all at the same time. round. Munnar is the place you would love to visit and never wish to leave. Mattupetty is about 13 km from Munnar in the state of Kerala. Situated at a height of 1700 m, Mattupetty is known for its highly specialised dairy farm, the Indo-Swiss live stock project. Over 100 varieties of high springy cattle are reared here. 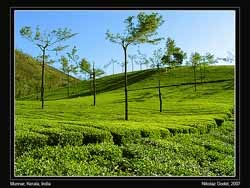 Pallivasal is the venue of the first Hydro Electric Project in Kerala and a place of mammoth scenic beauty, situated at a distance of 8 km from Munnar. 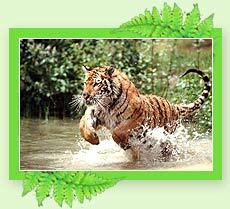 Eravikulam National Park is located at a distance of 15 km from Munnar in the state of Kerala. The 97 sq. km. park is situated in the Devikulam Taluk and is home to the Nilgiri Tahr. 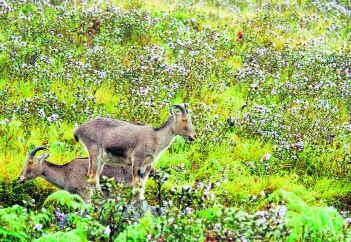 Originally conventional to protect the Nilgiri tahr (Nilgiri Ibex), the Eravikulam National Park is located in the Devikulam Taluk of the Idukki District. This is an ideal place for adventure tourism and trekking, located about 13 kms from Munnar. The fresh mountain air, the mist-clad hills and panoramic view make it worthy of a visit. Attukal is about 9 km from Munnar. A panorama of waterfalls and rolling hills, Attukal, located between Munnar and Pallivasal, is a feast for the eyes. The place is also ideal for long treks. Located between Munnar and Rajamala, at a distance of 10 kms form Munnar, Nyayamakad is a land of breathtaking waterfalls. The waters cascade down a hill from a height of about 1600 m. The enticing surroundings makes an excellent picnic spot and trekking point. Air : Nearest airport at Kochi (Cochin) at a distance of 130 kms. Rail : Nearest railheads are at Kochi (130 kms) and Kottayam (142 kms). Road : Munnar is well connected to all the major cities of Kerala and south India. Some nearby road destinations are - Idukki 60 km, Kundala 28 km, Thekkady 110 km. Accommodations are plenty here. The available accommodation ranges between luxury and budget. The hotels are well equipped with all modern facilities and services to provide the ultimate satisfactions to all types of tourists coming from all over. The hotels set amidst the soothing climate are the best option to spend your holidays.